Weekly Theme 20: Plan for Success! This week we are looking into our educational resources Pack 4 – Research, Write, Develop Part 1 & 2. You can find these packs on our website, just click here. The first part of the pack shows you how to write a good business plan. The second part explains how to design a useful financial plan. In this blog I am going to explain the importance of planning ahead for a successful school enterprise. 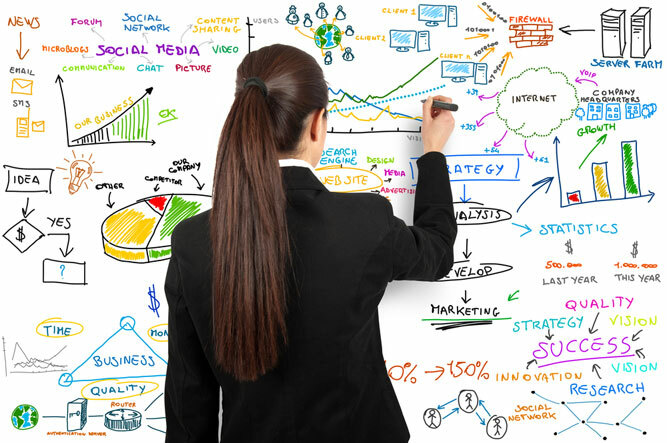 Business planning is important in order to carry out a successful project. It is important that you plan ahead to try and save as much time and money as possible. If you decide how you are going to do this beforehand, you can be sure that your project will be as successful as it can be! A good business plan allows you to set the targets you want to reach. It is good to know what you can expect to get out of your school enterprise, otherwise there is a chance that you could expect failure. No-one wants that! In order to be confident that you will be able to reach these targets, you also need to decide how you will do it by thinking of strategies. Once you start running your school enterprise, you will find that it is easier to organise your activities if you can simply follow your plan. You will also be prepared to solve any problems you may experience. Even if you meet problems that you haven’t planned for, if you have a good business plan then you will only have to think about dealing with these new problems. Hopefully, your excellent business plan will turn into an excellent school business. But how do you know if it is excellent or not? Well, a good plan provides a structure so that you can measure your progress and you can feel happy about the success that comes from your hard work! The second part of running a good project is to have a brilliant Financial Plan. It’s important to have a Financial Plan, as a Business Plan alone does not tell you if your school enterprise will be profitable. A very important consideration! Start-up capital: money which you will use to buy your products. How much will you need and where will it come from? Indirect costs: will you need extra money to advertise your products or to hold an event to launch your school enterprise? Pay-back period: how long do you have to run your school business before you make a profit? These are all questions which can be easily answered if you write a Financial Plan! The School Enterprise Challenge Team are really excited to read your business plans and financial plans. Don’t forget to submit both documents before the deadline on 30th August 2013 by emailing them to submissions@schoolenterprisechallenge.org. If you have any problems, you can find out how to contact us by clicking here. We hope you have enjoyed this post and you will come back next time to read more! This entry was posted in Uncategorized on August 27, 2013 by School Enterprise Challenge. This week we are looking into our educational resource Pack 3 – Imagine, Create, Develop. You can find this pack on our website, just click here. Part of this pack shows you how to develop the brand of your school business and how to make your customers aware of it. In this blog I’m going to share tips for designing an awesome logo to represent your brand and for creating a poster to advertise your school business. So, you have decided on the name for your business and now you want to create an identity for it. A good way to make people recognise your business is to use a logo. A logo is a simple picture which represents your business. Before designing your logo, decide what kind of qualities your business has that makes it special; for example, maybe the business is good for the environment, or it is based on computer technology, or you have decided to sell delicious food. You can then decide how you would translate these qualities into a picture. Next, think about logos you like and dislike and why you feel this way. A logo I really like is that for the Fairtrade Foundation. Why do I think this is a great logo? Simplicity: the circle is a simple shape, there are only three colours. Green and blue represent the natural world and the organisation’s focus on sustainability. Who is the business aimed at: the image of the person indicates the organisation’s focus on helping workers in the developing world, which is what consumers will be interested in. It is similar to the Chinese yin and yang symbol which represents balance. Writing: sometimes the single word Fairtrade accompanies the logo, but it remains simple. The logo is recognisable even in black and white. It is easy to understand whether large or small. A poster is used to attract attention and can be used to give out important information about your business quickly. Before designing your poster think about the information you want to give out. Perhaps make a list. Let’s look at the good points about a poster by the University of Ulster’s Students’ Union to advertise an event they have organised to make people more aware of the Fairtrade Foundation. Brand name: it states clearly Fairtrade. Logo: it has the Fairtrade Foundation logo (and university logo because the students are organising the event). 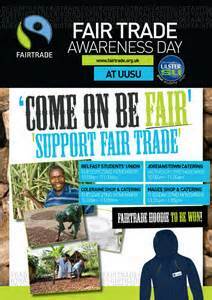 Product, service, or event: the students are organising an event called Fairtrade Awareness Day to increase awareness of the brand. Where customers can find the business: times and places for the event are explained. An image of the product or service: there are images of farm workers which the Fairtrade Foundation supports, sugar – a Fairtrade product, and a hooded jumper which visitors can win in a competition. Next think about the design of the poster. I thought that this poster was well-designed because of several reasons. The text is large, clear, and easy to read. Short phrases are used. It uses a few, simple colours which are pleasant to look at. They are the same colours as the Fairtrade Foundation logo. The images used are appropriate for the event. Do you think there are any qualities of a good logo or poster design that we have missed out? We would love to know what they are, just comment below! Remember to upload your wonderful logo designs onto your School Profile on our website, just click here. Not only is this a way to share your fantastic designs, but it will increase your chances of winning our School Profile Competition. We also have a Logo Designing Competition opening very soon! To find out more about the competitions you can enter and prizes you can win click here. Thank you for reading this week’s blog. We hope you will come back again next week! Now that you have made your School Enterprise Challenge team and started connecting with other schools, it is time to think about what your school business will be! This week we are looking at Pack 3 of the Teachers Guide which is all about using your imagination to create, research and develop a great business idea. This pack can be found on our website with all of our educational resources. Just click here, or log in to the website and click the orange ‘Resources’ button on the left of the screen. A great way to start planning your school business is to look at the resources your school currently has – you may have the tools for a prize winning enterprise under your roof! Using resources you already have can help to keep the start up cost of your business low, meaning you could make a bigger profit! Pack 3 includes a Resource Assessment Worksheet (page 18). This helps you look at the materials your school has, your school’s location and the skills of your students to see how they could be used in your business. For example: if you have a school hall, your school is near to a tourist attraction, and your students are good at baking, your school business could be selling cakes to tourists. Brainstorming is a creative method to generate lots of different ideas from different people about how you can use your resources – there is a guide to brainstorming on page 21 of Pack 3. 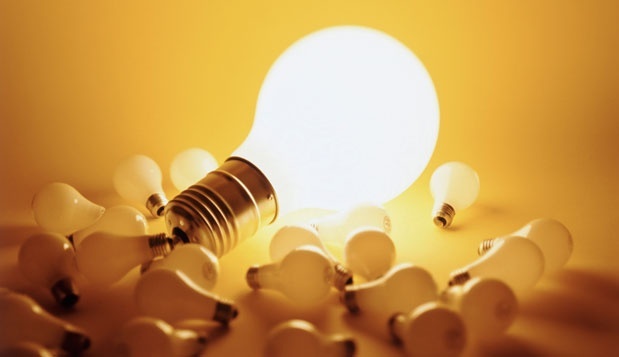 I really like this picture of brainstorming as it shows how creative and imaginative you can be! Once you have some ideas for your school business you can choose the best one by doing a Feasibility Study (page 19). This study will make sure that your business will really work! Now you have your business ready to go! 1. The name should “stick” – its important everyone in the team loves it as you’ll use it every day! 4. It tells a story – there are many theories why Apple has that name – some say it is because its founder Steve Jobs had been to visit an apple farm, and thought it was a fun name! 5. Invent a new word – be creative! “Googling” and “Tweeting” have become part of many people’s language thanks to the internet! What are your tips for using the resources your school has? What is your school business called, and why did you choose the name? Let us know by posting a comment below this blog, or click here to post in our Forum. Remember to include your company name in your School Profile on our website, just click here. We will also open our Best Enterprise Name competition soon! To find out more about the competitions you can enter and prizes you can win click here. I look forward to reading all your great school names! This entry was posted in Uncategorized on August 20, 2013 by School Enterprise Challenge. 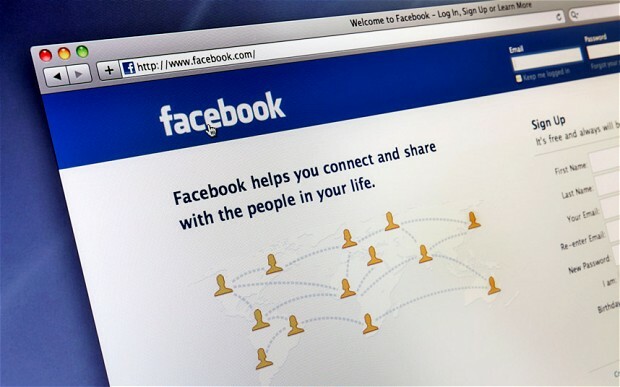 Facebook is a social media site used by over 1 billion people. It allows users to communicate with people around the world by creating a profile, sharing messages and pictures and much more. Facebook is also a great place to advertise your business, by sharing your progress, updating your customers about your products, and reaching new fans around the world! Getting started with Facebook is really easy. Type www.facebook.com into your browser, click ‘sign up’ and enter your details. Once you have an account you can add as much or as little detail as you want to your profile, and start connecting! For more detail, check out our second educational guide ‘Pack 2: Connect, Communicate, Share’. This is available here, or by logging into our website, and clicking ‘Resources’ on the left of the screen. Facebook is the most popular photo sharing site on the Internet. Uploading photos to Facebook is really easy – to find out how, check out our social media guide here. Once you have uploaded a photo, you can add a caption to tell people what is happening in the picture, you can ‘tag’ people in the picture to tell everyone who is who, and you can also tell us where the photo was taken. Facebook is a great place to share links to other pages, especially your blogs. If you want to tell your followers about your enterprise, you can add as much detail as you want in your blog and then share the link on Facebook. Tell people what the link (your blog) is about to get them interested, and then give them a link to it. This is a great way to increase the number of people reading your blog. A great feature of Facebook is the ability to do a poll. This allows you to ask your fans a question, give them some options and then tell them to vote on their favourite. Alternatively, you can upload photos and ask your fans to vote which they like the best by ‘liking’ them. This is a great way to get the reaction of your fans for particular business decisions, for example, when Innocent Smoothies first started, they asked anyone who drank their smoothie to vote whether they should or should not continue making them. The overwhelming answer was YES, and they have since become very successful. Use Hashtags – Facebook has adopted hashtags (#), if you use these in your status updates by hashtagging words (e.g. #facebook), people can search for that word and more people will see your post. Connect With Other People – Post on other people’s pages, start or join conversations with other people and like other people’s pages. All of these things will give your page exposure and will increase your number of fans. 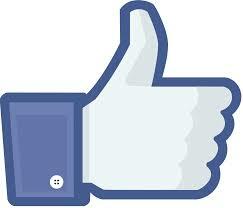 To get an idea of what to do, and to keep up to date with the School Enterprise Challenge, like our Facebook page. We also run regular mini-competitions with some great prizes, so make sure you like our page and do not miss out! This entry was posted in Uncategorized on August 1, 2013 by School Enterprise Challenge.